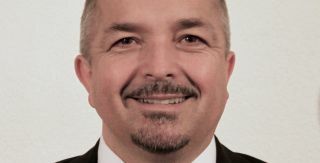 Audio over IP company Barix has promoted Reto Brader to CEO, following a successful tenure as vice president of sales and marketing. The change in company leadership correlates with the availability of new products that Barix introduced in 2018, including its RetailPlayer platform for background music distribution. The remaining Barix management team, which has worked together effectively for the past several years, will continue in their established roles with full support from Brader. This includes company founder Johannes Rietschel as CTO, Joan Parrilla as VP engineering, and Mario Almeida as VP production. Rietschel founded Barix in 2001 upon anticipating the need to move audio and control signals over IP networks. The company has since shipped more than 450,000 Barix and private-labeled OEM hardware devices worldwide, and has more recently evolved into SaaS and managed services for business music and advertising distribution for retail, hospitality, and other location-based businesses. Barix has invested heavily in the development of its next-generation products that follow the latest IoT architecture, and that support the highest internet security standards. With Rietschel behind product development and Brader driving marketing strategy, 2018 also saw the introduction of the IPAM 400, a quad-core Linux-based IP audio module for OEMs and developers; Instreamer ICE, Barix’s first AAC+ encoder with an integrated Icecast server; and AudioPoint 3.0, Barix’s low-latency audio-to-mobile streaming platform. Effective immediately, the Barix board has appointed Brader as CEO to seize the market opportunities afforded through these innovations. Before joining Barix as VP sales and marketing, Brader held key business and technical roles at Hewlett Packard, Pixelmetrix, Utah Scientific. and Alcatel. He has a degree in electronical engineering and an MBA. “It is now important that the entire company is focused on leveraging first market success of our new products to build on recent successes, and continue to drive global business growth,” Brader said.